http://www.udc-italia.it/news/health/3240.html con un'ampia scelta di prodotti, spedizioni gratis, sconti offerte. ErboristeriaNarvallo.it la grande erboristeria online. 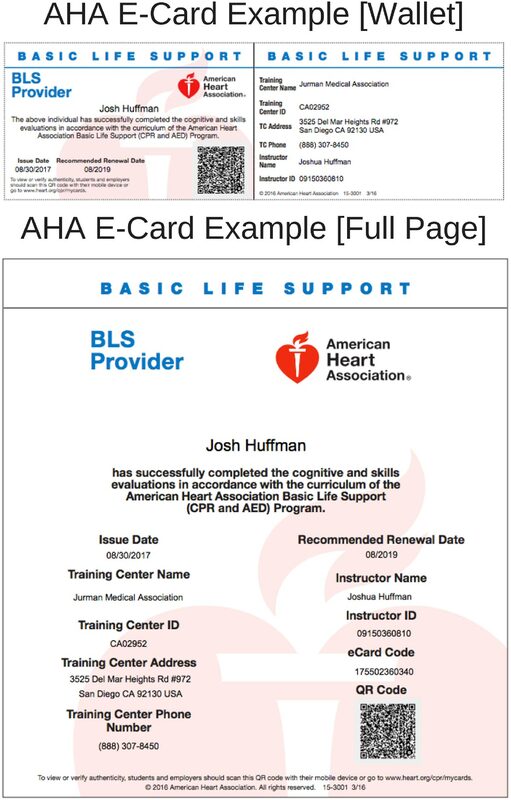 The American Heart Association(AHA) is now issuing electronic certification cards called eCards. These eCards offer a simple and efficient way to provide students with their credentials after they complete a course. Once students have completed their course, they will receive an e-mail notification with a link to claim their eCard online.